Long selling product for trimming the pubic hair. If you wonder which heat cutter to use, this is recommended. 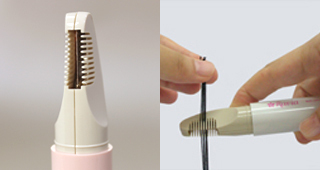 Trim unwanted hair from your pubic hair using heat. Cut down on the volume to refine and clean your bikini line. Trimming prevents some pubic hair showing out from and deforming your underwear because of the hair underneath. Because it cuts with heat, the cut end of the hair becomes rounded. Therefore, it can be expected that the hair will not protrude from underwear. V line trimmer is a battery powered heat cutter for trimming the bikini line. V line trimmer is a battery powered heat cutter for trimming the bikini line. The hot wire inside is guarded by a comb and it burns the pubic hair off a little bit each time. 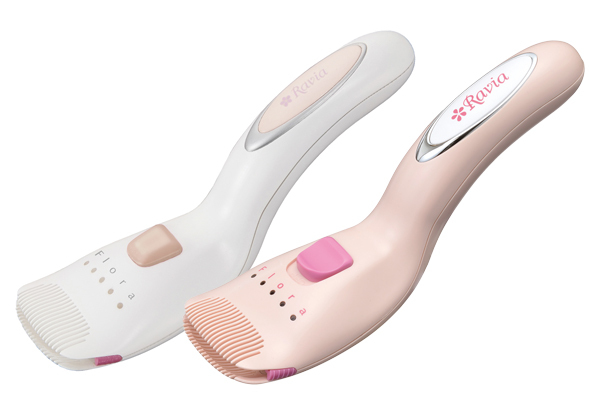 The comb is made with a material that is heat-resistant so it’s completely safe. It’s safe to use this on the bikini line for beginners too. Because it burns with heat, the edge of the cut hair will be circular. Because it burns with heat, the edge of the cut hair will be circular. Compared to hair cut with scissors producing hair with sharp tops, the cut finish is smooth without too much of a tingling feeling. * The finished feeling varies depending on the person. The shape is compact so it cuts finely and carefully. The shape is compact so it cuts finely and carefully. The length it can cut is about 1 cm from the base. This is a simple and easy item for trimming and refining your bikini line. 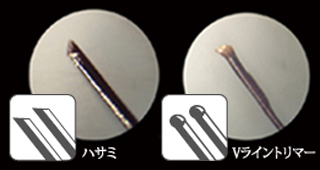 ※It can cut to length of about 1 cm. ※The battery is sold separately. Please use two AA alkaline batteries. There is a big difference in the ability to cut depending on the remaining capacity of the battery. We recommend using a new battery. 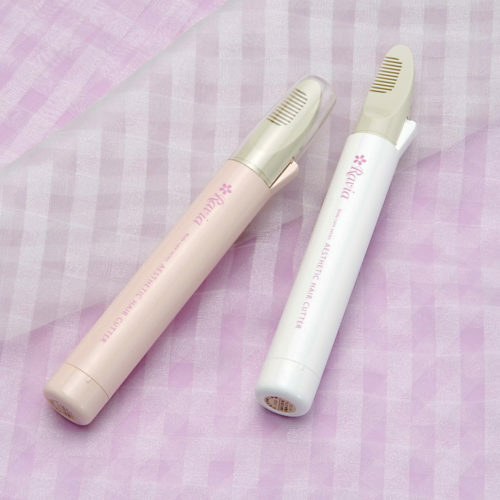 ※Continuous use time is about 30 minutes with new batteries. If you do not use it for a while, please remove the battery and keep it. When thinking that sharpness has become worse, please put a new battery first and try. If it is used with bad sharpness, it may cause failure. 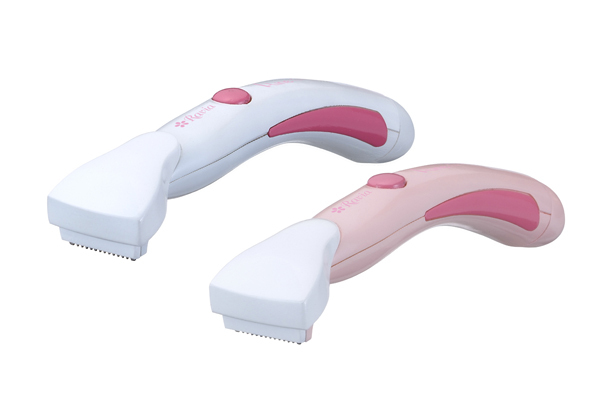 High power rechargeable heat cutter for pubic hair! "Flora"
The heat cutter for beginner "putico"
Make hard and rough hair to fluffy!! "Fuwaum"